If there is one thing you’ve learned here I hope it is that networking is one of the most important aspects to building your career. Businesses don’t hire names or degrees – they hire people. They like to feel connected to those that joint their company. That is why there is that old saying: It’s not what you know, it’s who you know. Who do you know? If your answer is no one, then you need to put some serious effort into building a network. “But I’m too busy,” you might be thinking. That’s a common thought. However, if you have a smartphone you can network on the go. How? With Twitter. The truth is that most people with smartphones are already using various forms of social media but they are using it to play on. How about making that smartphone work for you by networking as you wait for the bus, sit in the doctor’s office, stand in line at the grocery store, and many of the other “waiting” activities that we do each day? If you have a twitter account that you use just for fun then just use that for fun. You should have an account that is created specifically for your career and for networking. Use your real name. You WANT employers to find this account. Use a professional profile picture and take a bit of time to construct a good bio – it’s like an elevator pitch for Twitter. If you have an online resume you can link to that in your bio. Now you need to connect with people that you want to be in your network. Don’t go all crazy trying to connect with everyone. Start with people that work at companies you would like to work for. You might follow recruiters or human resources staff. Follow heads of departments and managers. Do a Google search for the company you want to work for and then look for names of people you can connect with; do a Twitter search for them. Once you have found at least 20 people that you want to connect with on Twitter and you’ve followed them, study their Twitter feeds. What do they tweet about? Are they sharing links to articles? Read them and the comment on them. You can comment to the original poster by putting an @ symbol in front of their Twitter handle and they typing your comment. They will get notified and you will start to be on their radar. Twitter is about more than just replying to people though. 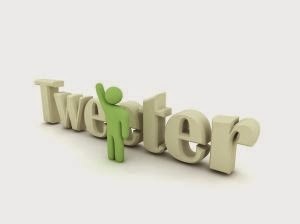 You want to share your own interesting and industry specific tweets. If you read an article about your career field, tweet it. Tweet something interesting you’ve learned. Tweet updates to your resume (no more than once a week for this though). Tweet something about a company you’ve been researching. When recruiters or others that may network with you come to your twitter page (because they will if you are connecting with them) they should find an interesting Twitter feed with good information. Once you have your career Twitter account set up you can add stuff to it as you think of it. With the Twitter app on a smartphone or an iPhone, you can tweet at people, respond to tweets, or tweet something interesting in just a few seconds. Just passed the building of the company that you want to work for? Take a picture of it and tweet and share what you like about the company or why you want to work there. Think creatively!